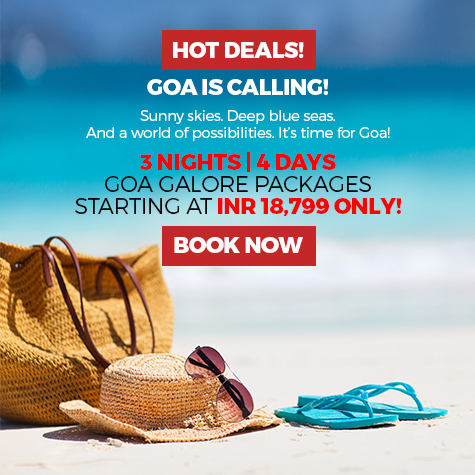 Tired of the relentless sun, endless stretches of sand and pulsating nightlife of Goa? You don’t have to leave the state to find some tranquility. Winding roads lead to one of the best relics of Portuguese rule in the state – heritage homes that are emblematic of a way of life that needs to become a part of your next Goan experience. These heritage homes are a chance to experience Goa’s Portuguese-influenced past in a unique way – have an old school snooze on their wide verandas after a hearty meal, take in the light filtering through the windows of their resplendent chapels, or just enjoy the everyday prettiness of window shutters encrusted with oyster shells as you walk past them. The Braganza House at Chandor village in South Goa takes up one side of the town scare and positively breathes colonial grandeur. This 17th-century mansion has now been split between two sisters, resulting in two heritage homes in one – the West wing is called Menezes-Braganza house, while the East is called Pereira-Braganza house. With Portuguese tiles, Flemish wood, and Italian marble mainstay features of Braganza House, a walk through this oversized property can feel like a whirlwind European tour, until one encounters gleaming Goan rosewood fashioned by local woodworkers in each of its rooms. Still family owned, this luxurious example of Portuguese architecture offers plenty of bric-a-brac for the curious traveller to enjoy – from delicate Belgian chandeliers to a fingernail of St. Francis Xavier hidden in the family chapel. Restored to its former grandeur by dedicated husband-wife duo Ruben and Celida Vasco da Gama, this butter yellow mansion is over 200 years old and comes with a unique origin story. Originally built by the founder of Quepem town, Jose Paulo, Palacio de Deao was a retreat for anyone seeking redemption. Soon, the town itself became a refuge for criminals seeking to rehabilitate themselves. Facing a church that was also built by Paulo, this heritage home rests on the banks of the Kushavati River and is a beautiful blend of Hindu Indian and Portuguese architecture. Today, its lush gardens are still the talk of the town and offer patrons a welcoming space for cultural events, a modest library offering rare books on Goan history, arts, crafts, and theology, and a restaurant that offers the best of Indo-Portuguese cuisine. Get a taste of rustic village life amongst the coconut groves at this heritage home away from home established by writer Frank Simoes and his wife, Gita. Mere minutes away from endless miles of Candolim beach, this getaway offers guests three well-appointed bedrooms to choose from. Travellers seeking a more private experience can opt for the quaint hexagonal guest house adjacent to the main house, which also offers them a furnished verandah to relax in, three French windows that let out into a lush garden, and a convenient en-suite bathroom and mini-fridge. Nestled in the quiet village of Annavado, seems like the perfect retreat for someone seeking total relaxation. But this doesn’t mean that one can’t enjoy what Goa is known for – some of the best restaurants and bars in town are close by. Ask the owners to share their recommendations to ensure a good time! If you’re looking for something off the beaten path, look no further than Elsewhere on the banks of lazy Chapora river. Established in 1886 by Anjelo Zeferino Sequeria, Elsewhere retains its old world charm into the present with intriguingly named housing options like The Piggery and The Priest’s House to choose from. Elsewhere broadly offers travellers a beach house or an Otter Creek tent to rest their weary heads. The Beach Houses are separate visitors from the rest of the world with a saltwater creek that ensures a relatively private experience for guests. The tents, on the other hand, are a bit more rustic with their cloth tent roofs but no less idyllic. There’s no wrong choice here since all houses and tents overlook the ocean. Accessible only by a 70-metre long footbridge that runs across a creek, Elsewhere is the place to go to when one is looking for a true getaway from the world. Named for the state of euphoric bliss one finds themselves on achieving the fourth state of consciousness, Turiya Villas are the place to head to when finding oneself. This heritage villa has been restored to modernity with all the necessary amenities, but still features classic Portuguese influences, from the street facing verandahs that promise some excellent people watching, to the shaded balconies (wide covered balconies) perfect for snoozing, to the Mangalore tiled roof to withstand Goa’s heavy monsoons. But the vibe of the place is Indian, with rooms being named after the nakshatras or star constellations in Hindu lore and thalis being the go-to meals for its guests. Indulge in one of the treatments at Turiya Spa before heading to nearby Palolem beach for a refreshing dip. 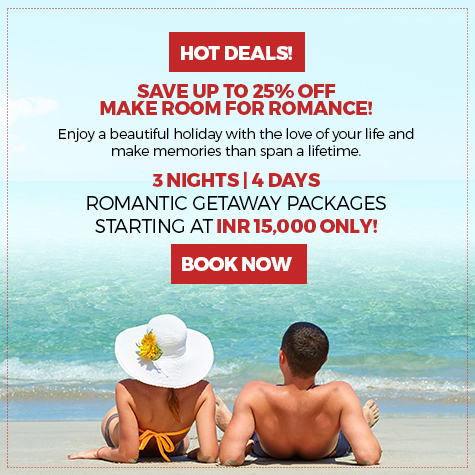 Low on the glitz and glam, this is the kind of relaxation Goa promises and Turiya delivers!